Another reason the Internet gave was that rather than building an audience, the blog would likely showcase just how small everyone’s audience is. “Are you really going to want to keep writing when you see that only three spambots have read your blog?” the Internet asked. Everyone pondered whether the blog was chiefly for him- or herself or for an audience. If everyone was looking solely for the meaning of life, did it matter? Would the meaning of life come to one person alone or did it necessarily have to involve hundreds? thousands? millions? The Internet was too focused on capitalism, everyone thought. “Doesn’t information want to be free?” everyone asked. Everyone was being sarcastic. Everyone grimaced. Everyone wanted to be a published author right now. Everyone was not going to wait until the work was complete. That was ridiculous. What was the point of keeping a blog if everyone had to write everything in advance. Everyone had pictures. Everyone thought often about posting them. Everyone thought also, however, about legal ramifications. If everyone’s employer or children or spouse saw the photos, what would happen? Would everyone be embarrassed? Would everyone be sued? Hadn’t the Internet given any thought to that? Everyone was going to write this blog novel and post it as it happened, for fifty-two weeks, no matter what. The Internet took a deep breath and sighed. The Internet was tired of communicating with people who wouldn’t listen. Everyone believed he or she would be an exception. Everyone’s thoughts would come out in a proscribed order, and a growing set of someones would want to read those thoughts sans photos, and an agent would buy the work even though it had already appeared online because, hey, who ever wanted to read an entire book on computer? Everyone was actually rather annoyed at the Internet. Who did the Internet think it was? Who did the Internet think everyone was? It didn’t know everyone--not like some people knew everyone, not like everyone’s friends and coworkers. They would read everyone’s blog, and they would tell others. And besides that, everyone was looking for the meaning of life. And that was the main thing that mattered. 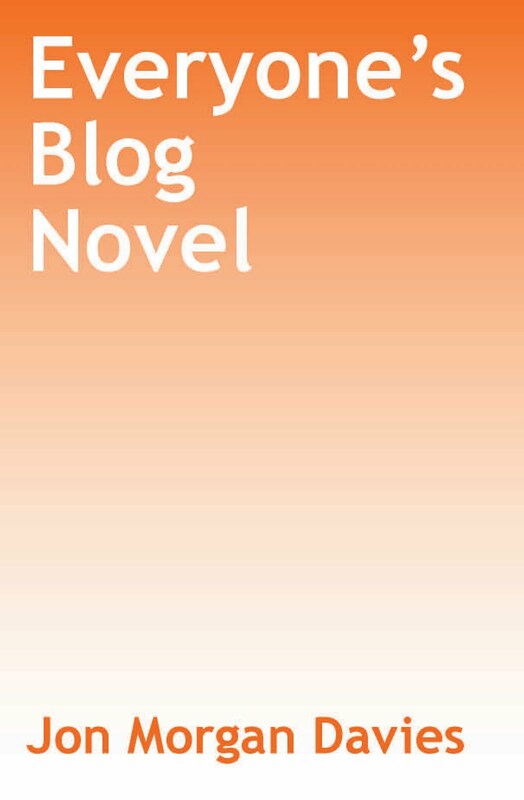 Everyone suspected that the meaning of life was devoted to blog novels, that the meaning of life scoured the whole universe of blogs looking for them, when it wasn’t running away with everyone’s spouse. Everyone pressed “publish” on the screen. Everyone watched the blog take shape before him or her. Everyone said, “Come to me, you miserable-excuse-for-a-being meaning of life.” Everyone waited for comments.